As I’ve said numerous times before, my trip to India was the most life-changing experience I’ve ever had. Every little bit of this place was so far from home; the food, the culture, the atmosphere, the smell, the people… Everything. There are many things you must do in India to ensure you head home knowing you’ve done it right. You don’t want to leave this beautiful country and have missed out on any of the rich history, culture and excitement. You can’t go all the way to India and ignore the delicious cuisine! The food is spicy, full of flavour and perfect for everyone; meat eaters, vegetarians and vegans. Real Indian food is nothing like you would commonly see in westernised Indian restaurants; there is a lot of eggplant, lentils, bread and surprisingly… There’s little to no butter chicken. Shock horror! 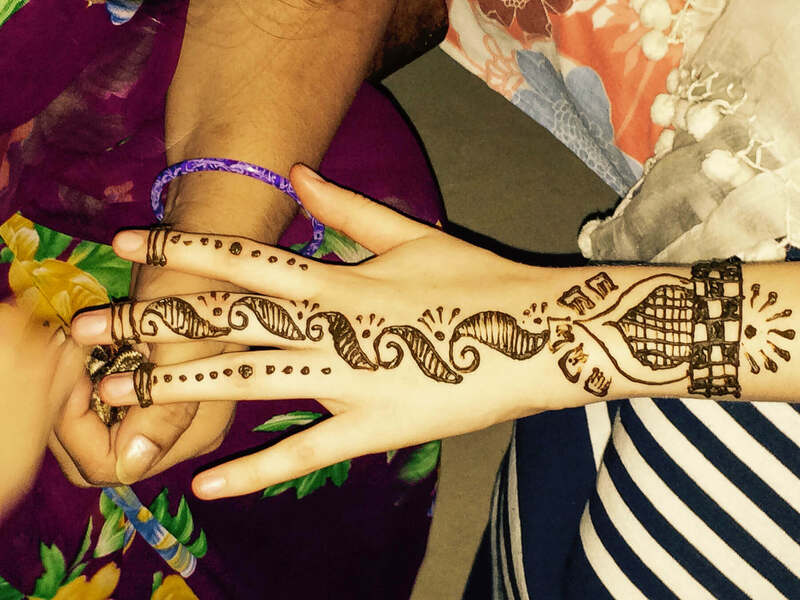 The henna tattoo originated from India and Egypt. It has been practised for 5000 years across Asia and Africa, so I guess it would be rude not to give it a try? No matter what part of India you’re in, there are always hundreds of people offering to do detailed henna designs on you. Especially in the markets; they’re everywhere. 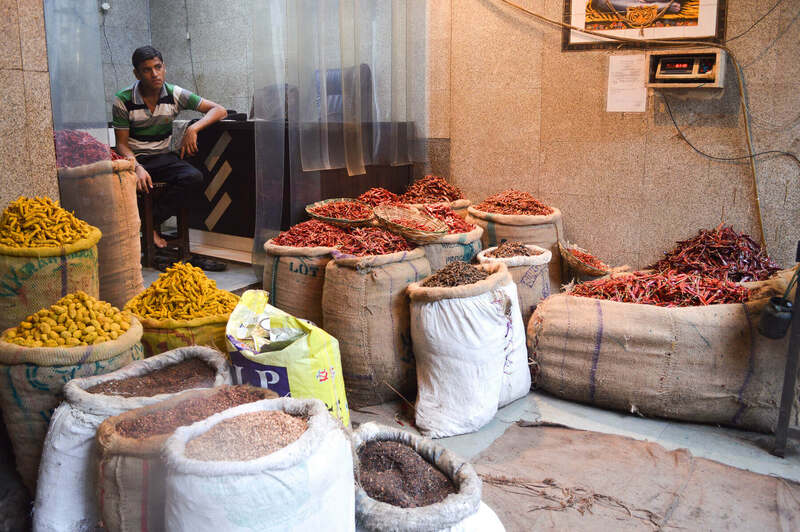 The one smell that has stuck with me from my trip to India, was the intense scent that wafts through the spice markets. It’s incredibly strong and gets your senses burning, but it really is India as it’s finest. It’s busy, colourful and… Spicy. 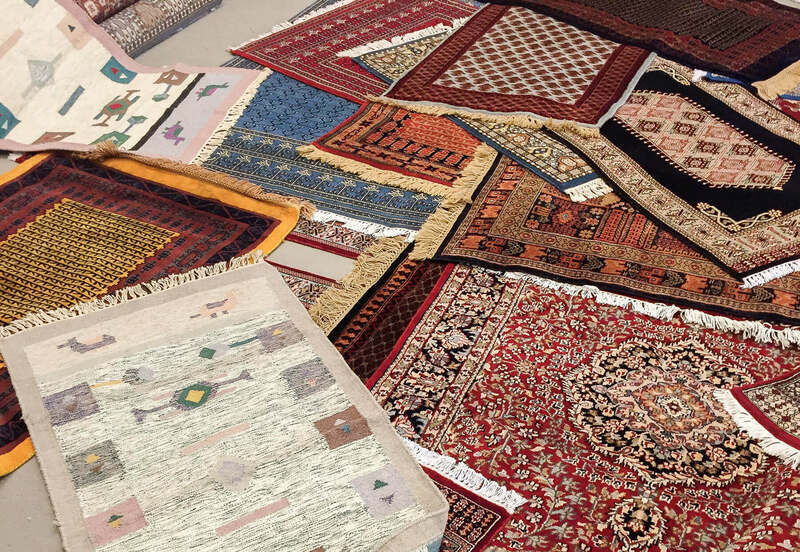 Oriental and Persian rugs are frequently seen in westernised homes. The beautiful, colourful, complex designed rugs are what makes our beautiful homes, ‘homely’. What I didn’t realise, was just how long these rugs take to create. Knotted rugs are some of the most detailed pieces of work I’ve ever seen. 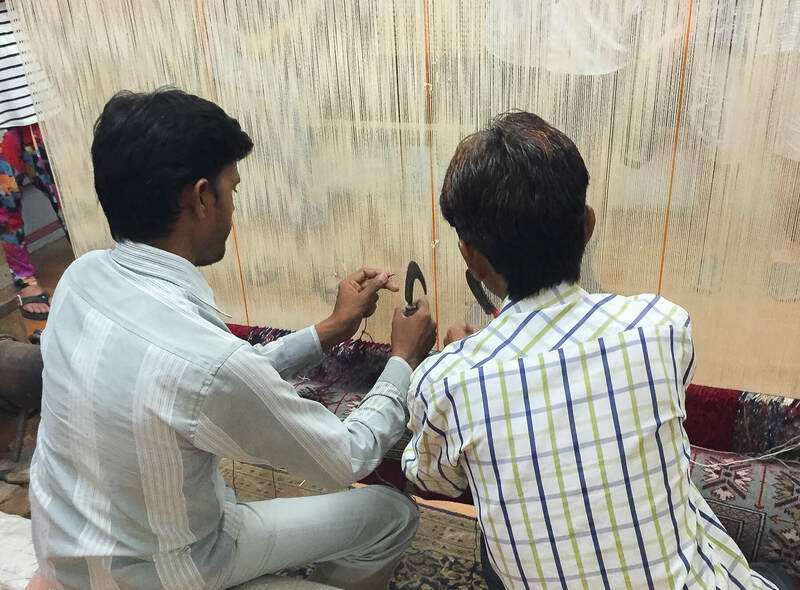 They are made by continuously knotting wool, silk or fabric on top of one another and each piece of fabric is cut after every knot. The detail is so small that the workers can only knot for around 30 seconds at a time before their eyes start to lose focus. To put it into perspective: there are 500 knots per square inch of rug. If 2 people worked on this 6 hours each day, it would take over 2 years to complete. It certainly makes you grateful for the cosy carpet underneath your feet. 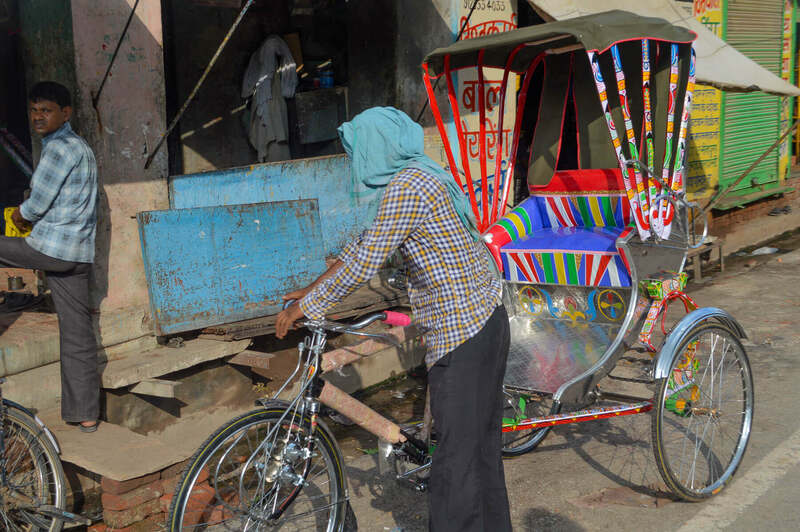 Rickshaws are not only incredibly fun and exhilarating, but bicycle rickshaws are also an extremely ethical and sustainable mode of transportation; they are great for the locals, the economy and the environment. They are an amazing way to get directly into the traditional ways of Indian travel, and is the best way to meet some of the locals. It will only cost you a few dollars to get to your destination, but just remember that these people more than likely live off your money – Don’t be a stingy tourist! A fluorescent orange snack, made from deep-fried flour soaked in sugar and syrup. Something that most people don’t know, is that Indian’s love sweet food. Jalebi is the sweetest thing I have ever had in my entire life, but it is fascinating to watch being made. 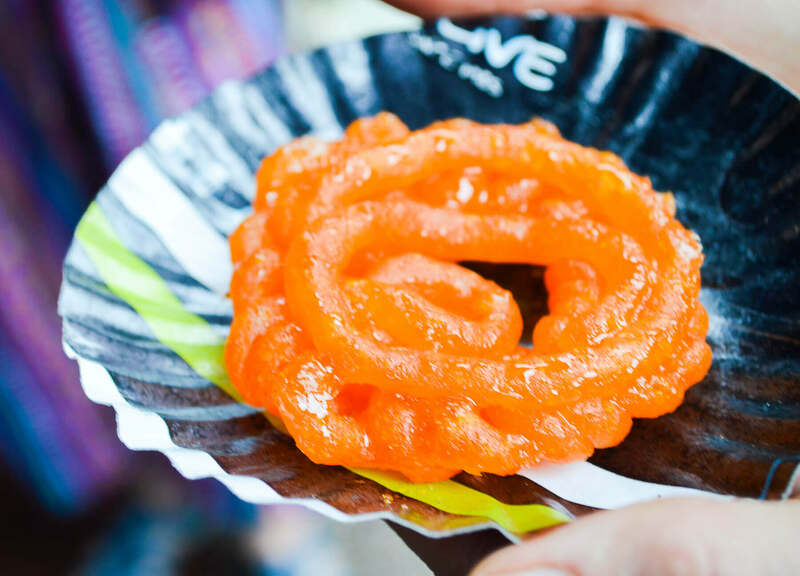 If you’re going on a trip to India, you’ll find these in most of the food markets around the country. This one speaks for itself. 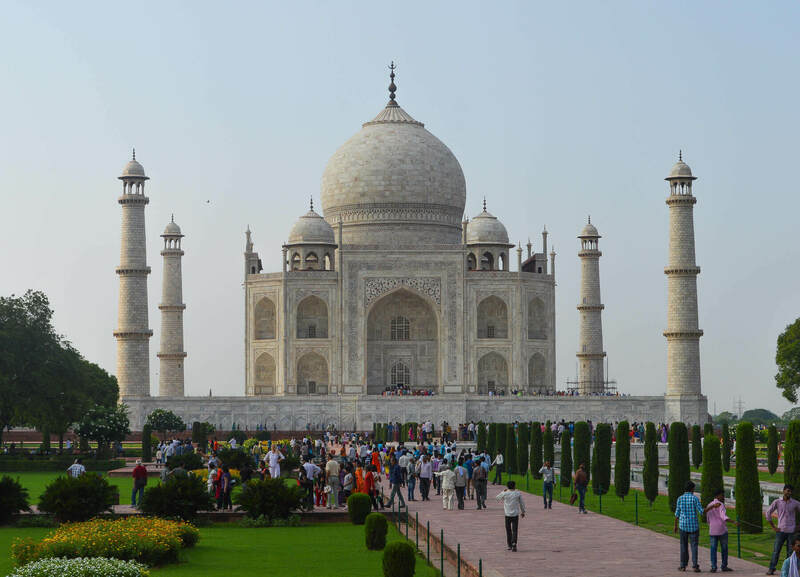 The Taj Mahal is the most beautiful man-made structure on earth – in my opinion anyway. There are not enough words to describe this building… You really have to see this for yourself! Most of the population of India haven’t been to the Taj Mahal, so you’re pretty lucky if you get the chance to see it in your lifetime. Here is what it’s really like to be in the Taj Mahal’s presence! 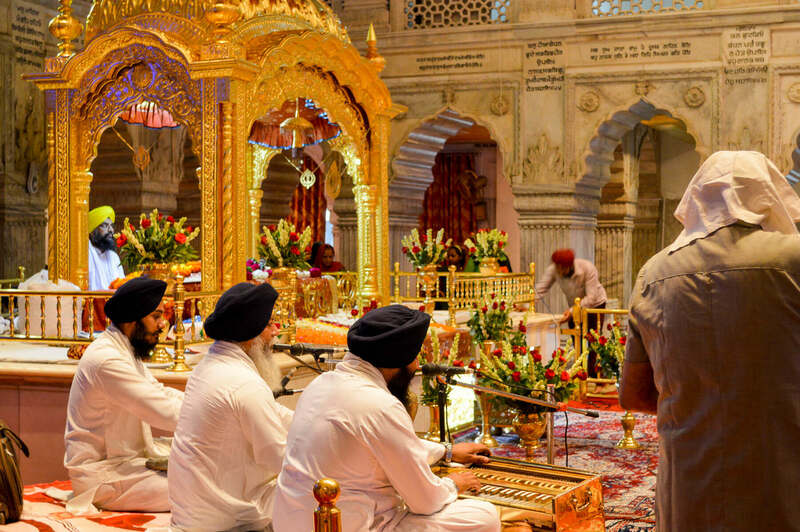 One thing you must do in India is respect their culture and especially their religion. 80% of India is Hindu; it’s the most common religion upon the population, and it’s something that is incredibly important to them. No matter where you are in the world, being respectful of the history, religion and way of life is something that can’t be ignored. 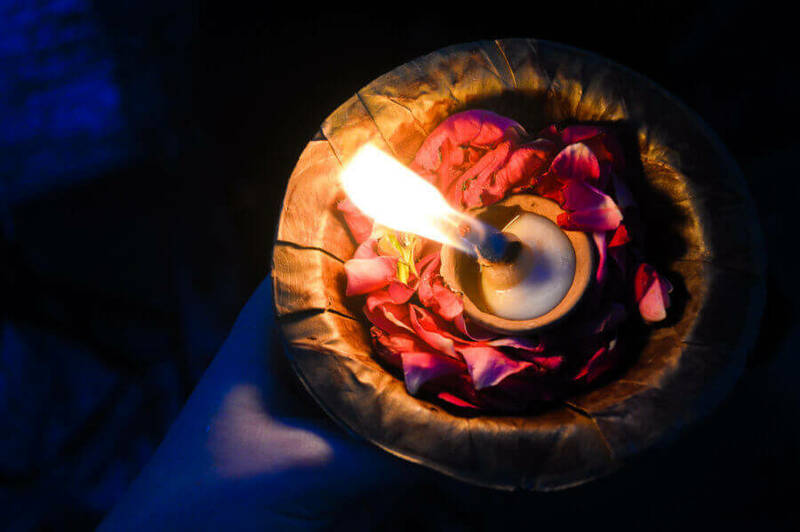 Whether you take part in a flower ceremony on the Ganges River or visit a temple in the city, remember to always be respectful. 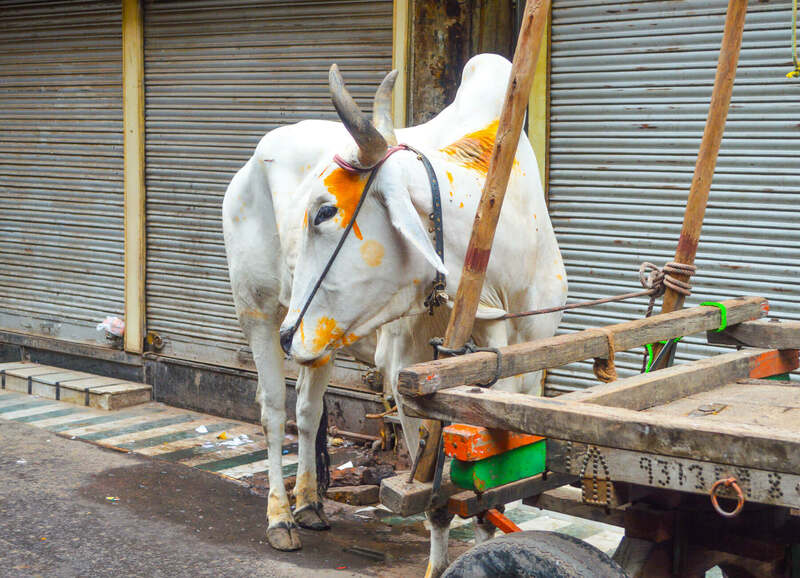 With the majority of the countries population being Hindu, the cows are sacred to almost the entirety of India’s people. They are not worshipped as such, but they are treasured as much as a million dollar piece of gold. 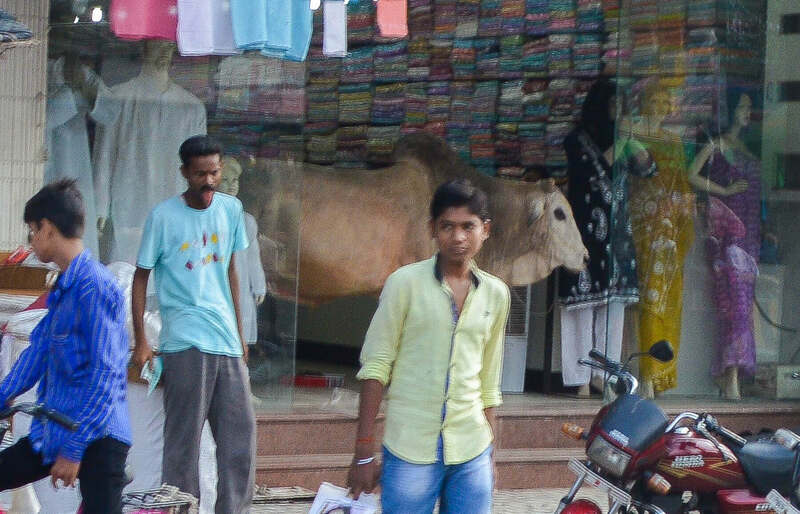 During my visit, I witnessed people feeding the cows on the street, even when they, themselves, were in more need of the food. The locals preyed to them at every crossing, marking them with blessings and allowed them to be wherever they pleased. No matter how long you’re in this country for, you must take a ride on the busiest mode of transportation you will ever encounter; the train. I’ve never seen so many people in one location, as I did at the stations in India; thousands and thousands of people cram onto the platforms at all times of the day. 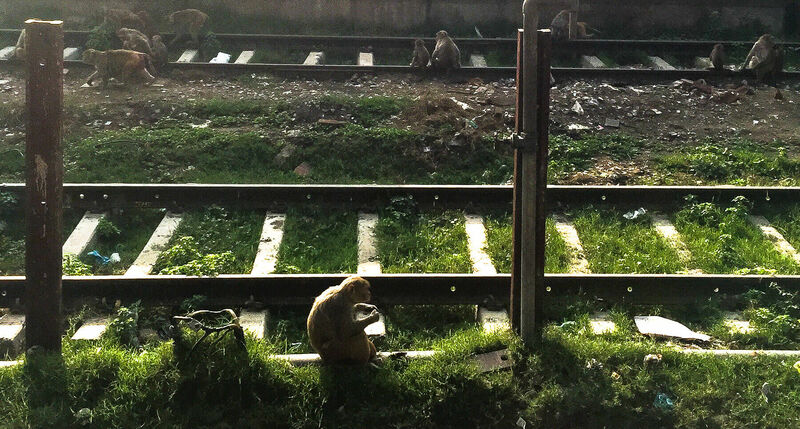 You’ll have to step over sleeping people, take in the smell of others waste and dodge monkeys running over the tracks. It doesn’t sound very appealing, but it’s a must do in India. This country really was an inspiring destination that totally changed my life. Not only is it incredibly eye-opening, but the locals are some of the most welcoming people on earth. Everybody pack there bags and head here – It’s just too good to be true.